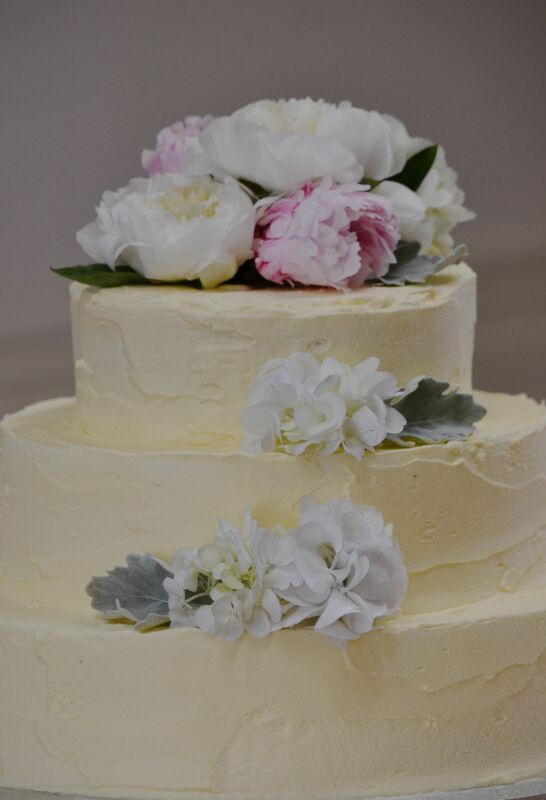 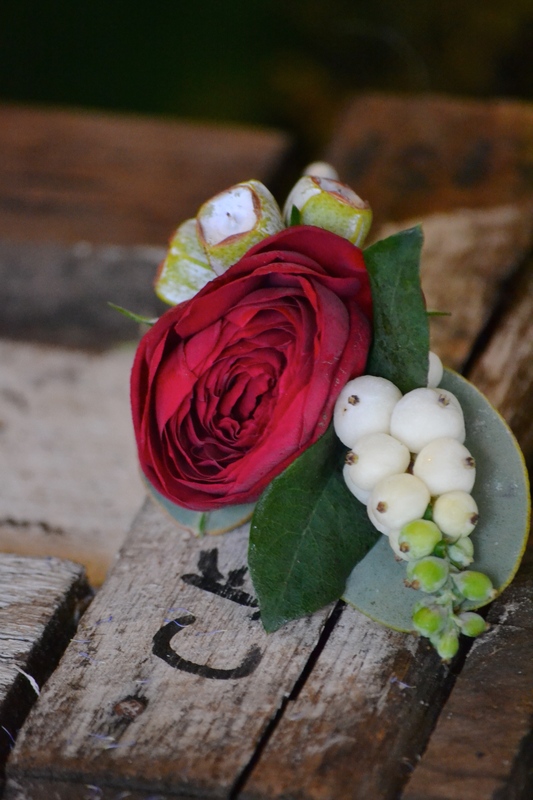 A luscious bouquet with red roses and dark trailing foliage was the bouquet brief for Fiona and Jesse’s March wedding, roseberry and white dusted tetragona nuts add interest and texture. 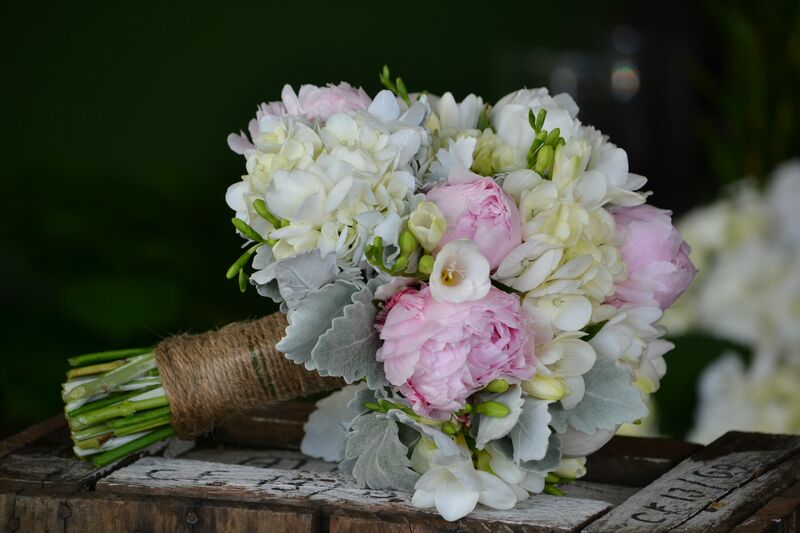 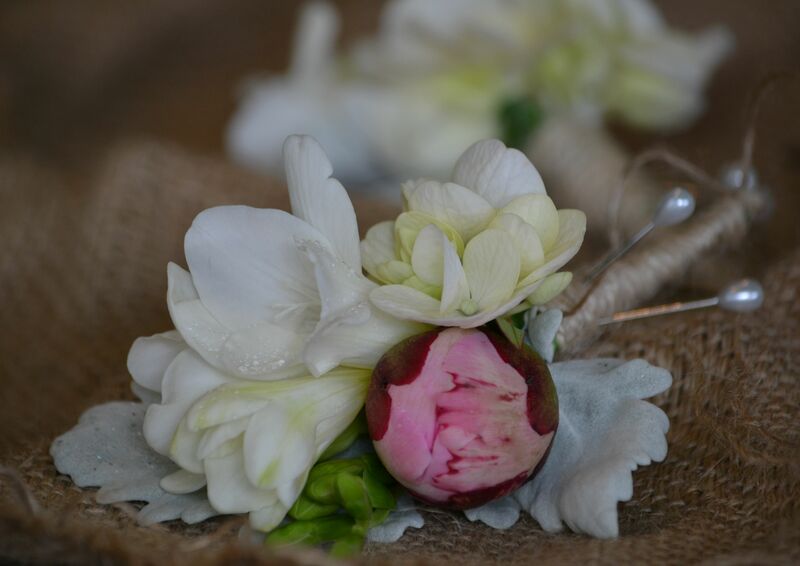 The five bridesmaids carried the native theme through in dusty pinks with bouvardia and snowberry for softness and scent. 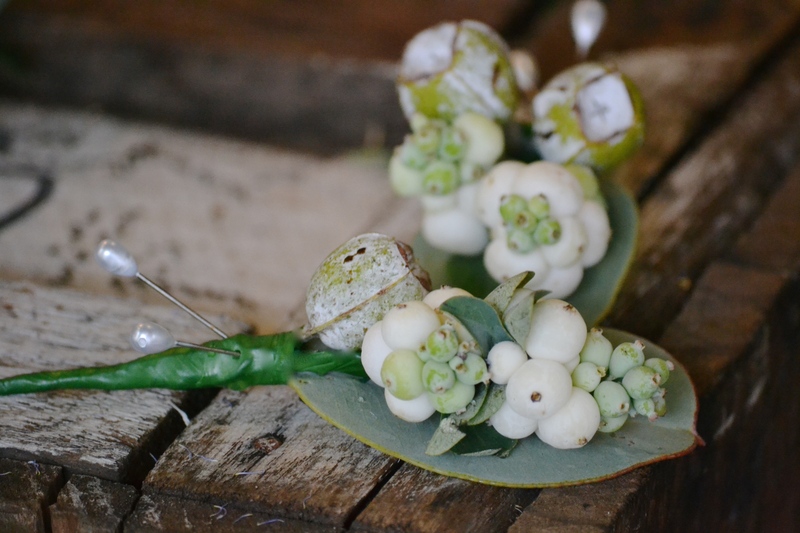 Snowberry and tetragona also featured in the wrist corage for the groom’s maid (yes that’s a thing) and the the buttonholes for the boys. 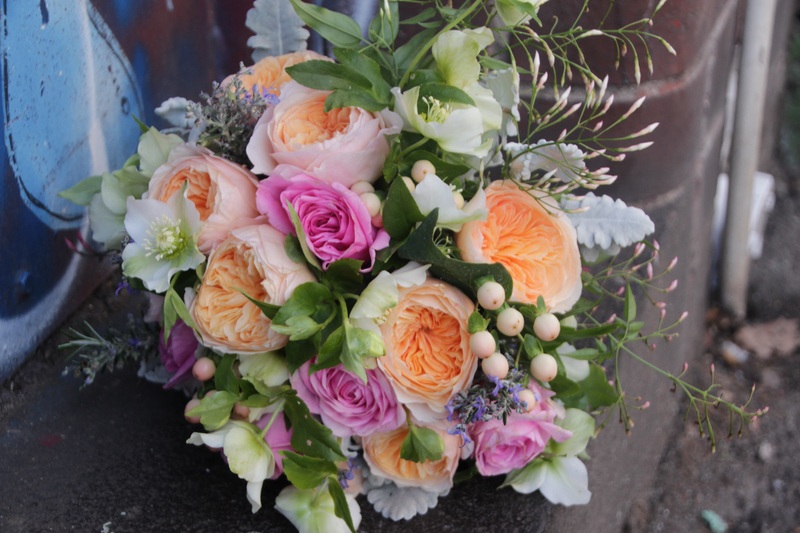 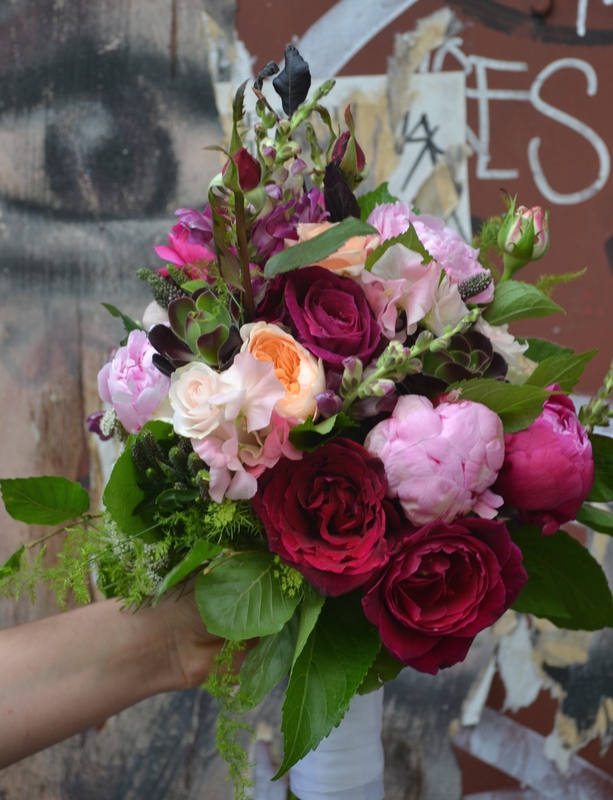 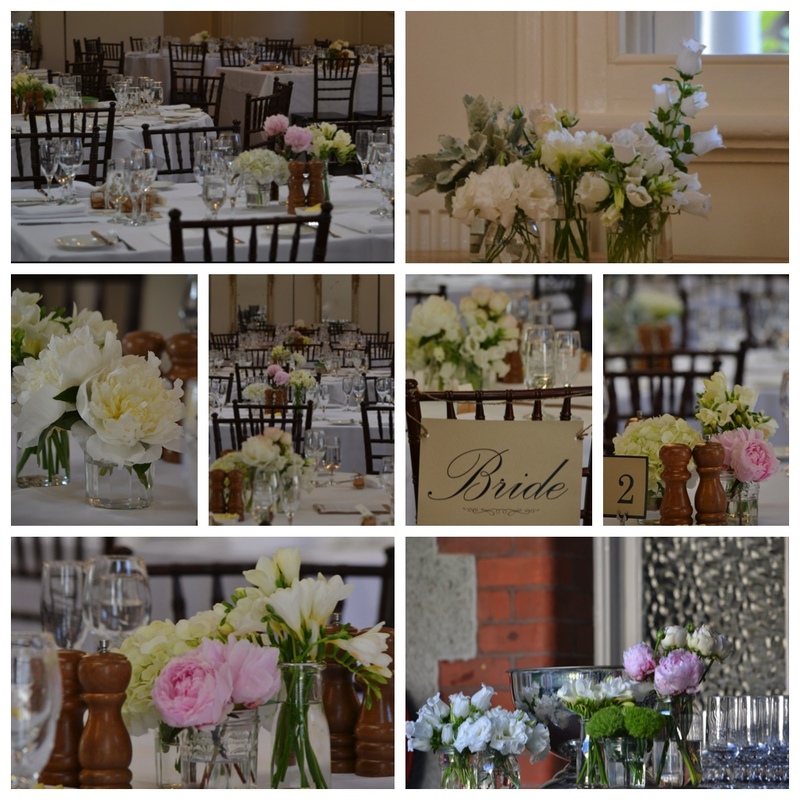 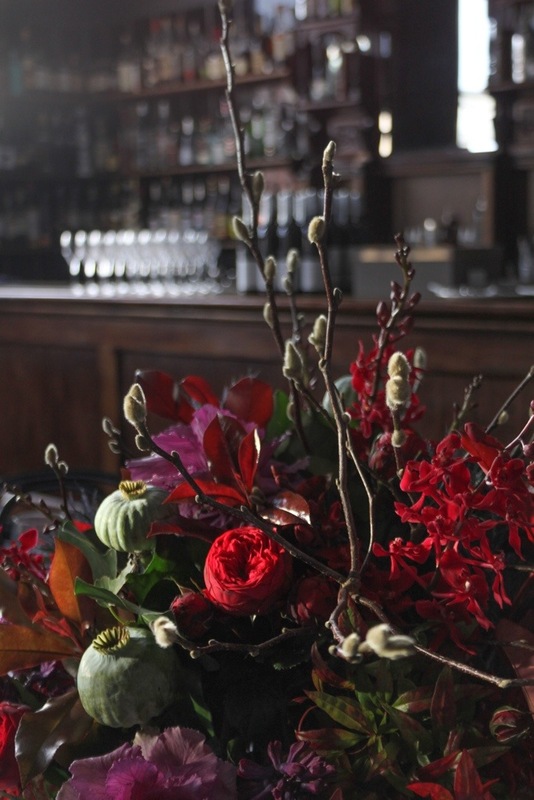 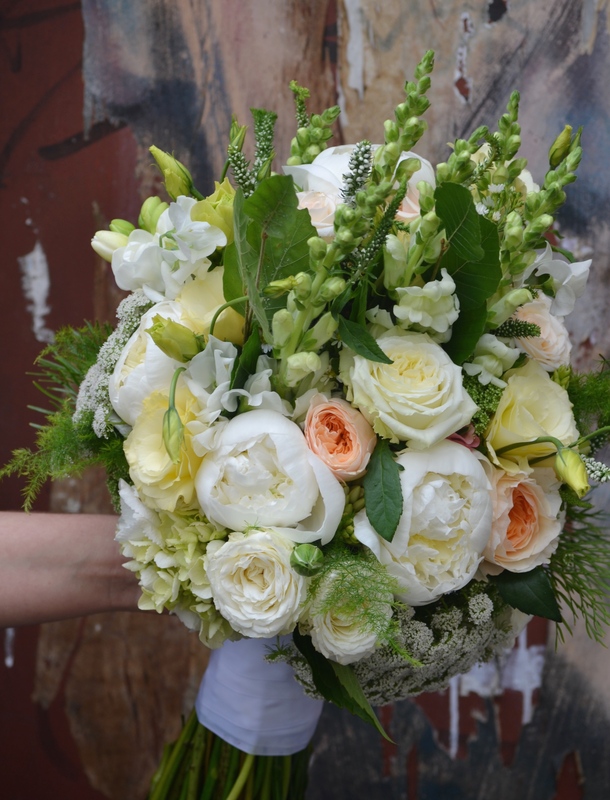 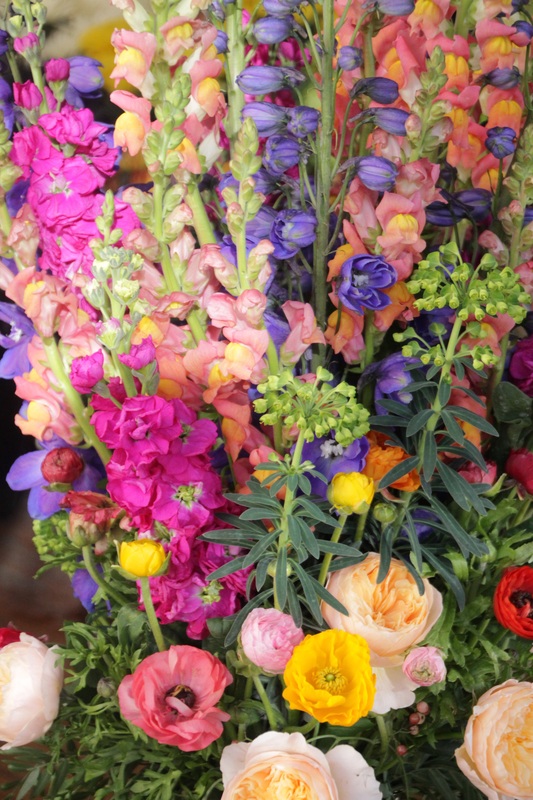 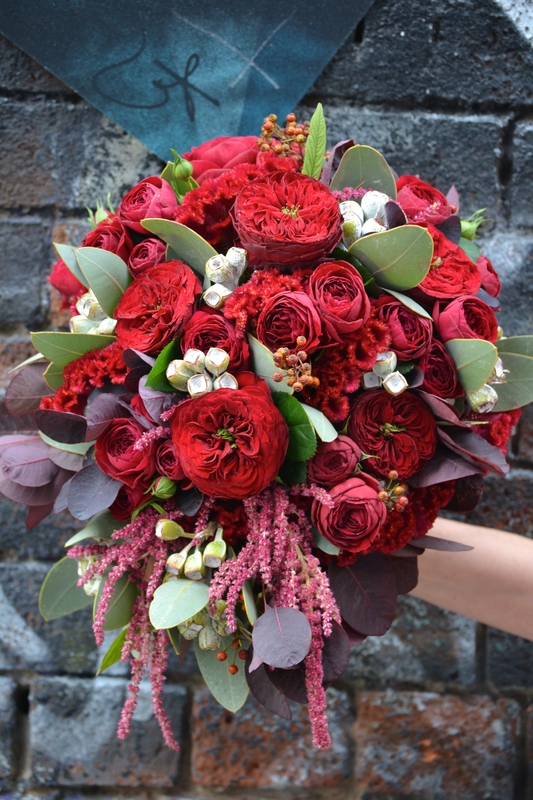 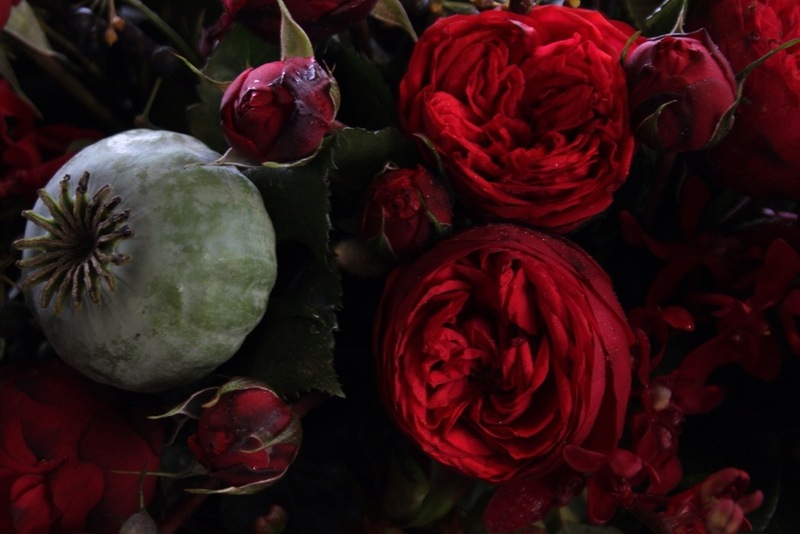 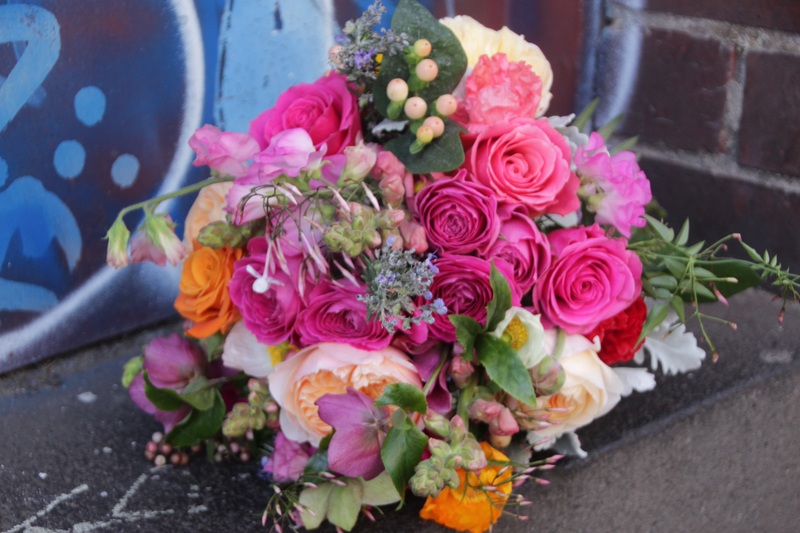 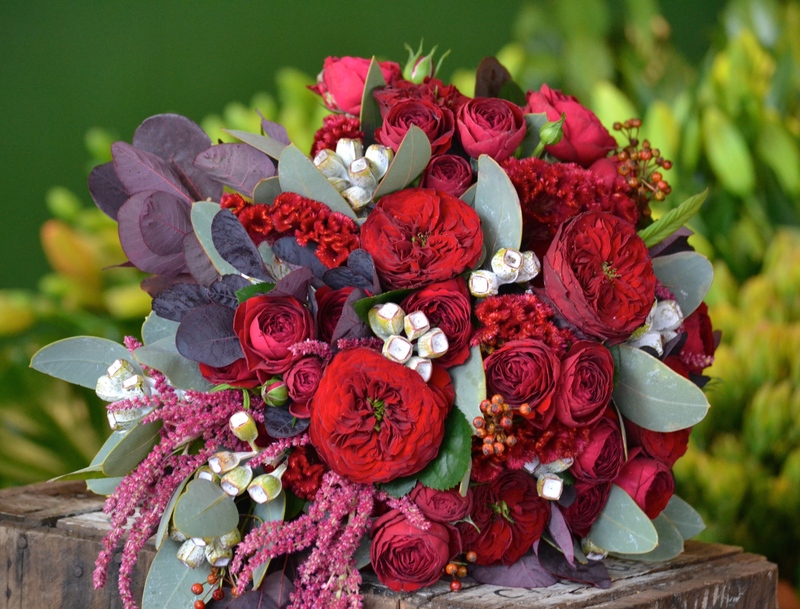 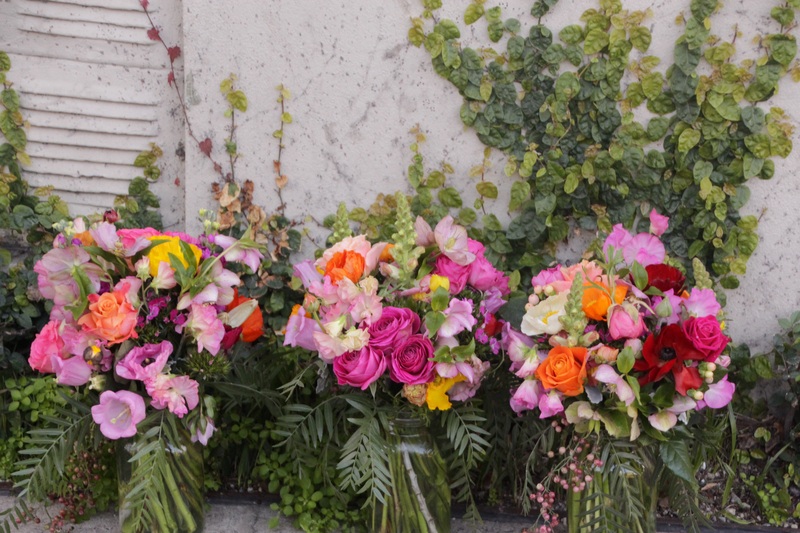 The gorgeous red rose in Fiona’s bouquet is the fabulous newcomer Grand Jubilee from Grandiflora….our new favourite! 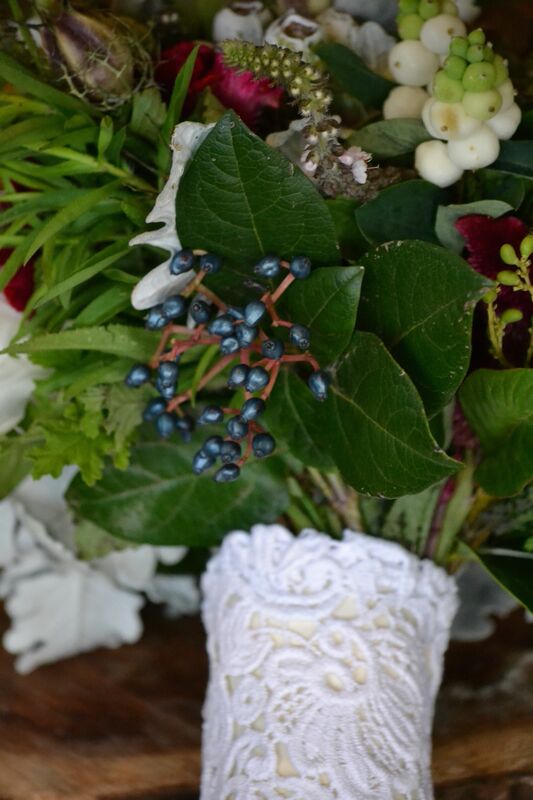 This gorgeous and unusual wedding bouquet with it’s varied forms and textures was given a traditional twist with a binding of beautiful antique lace. 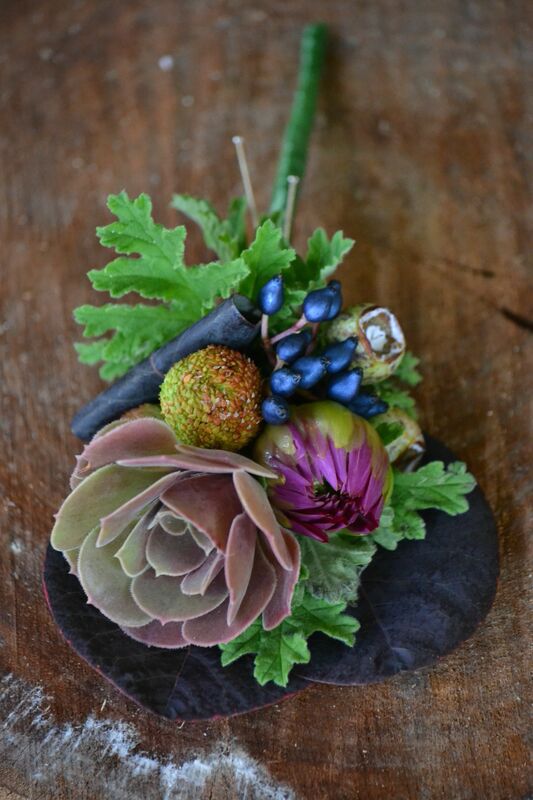 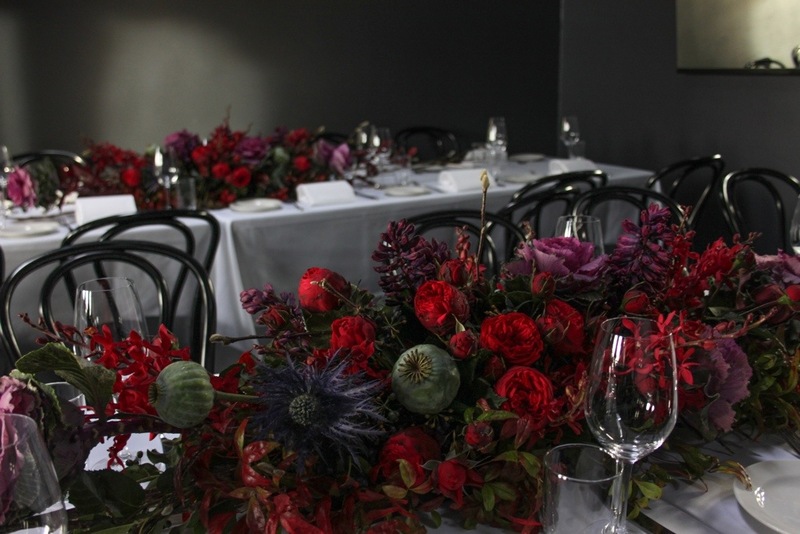 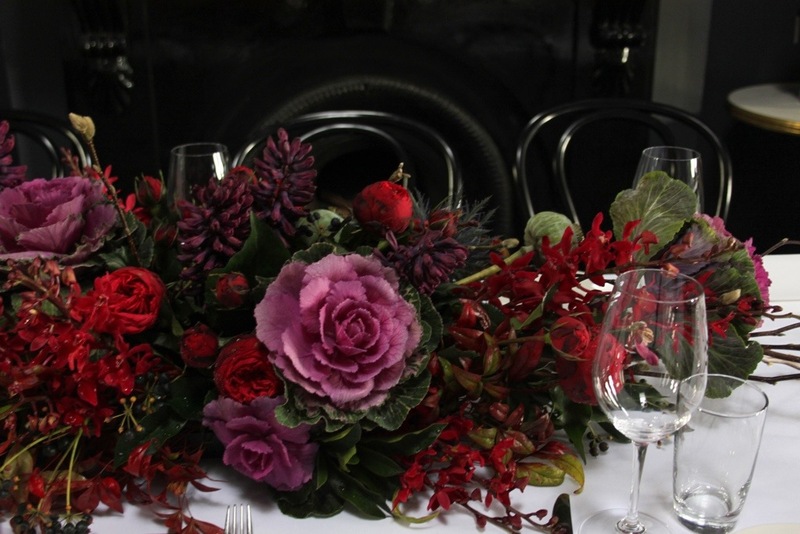 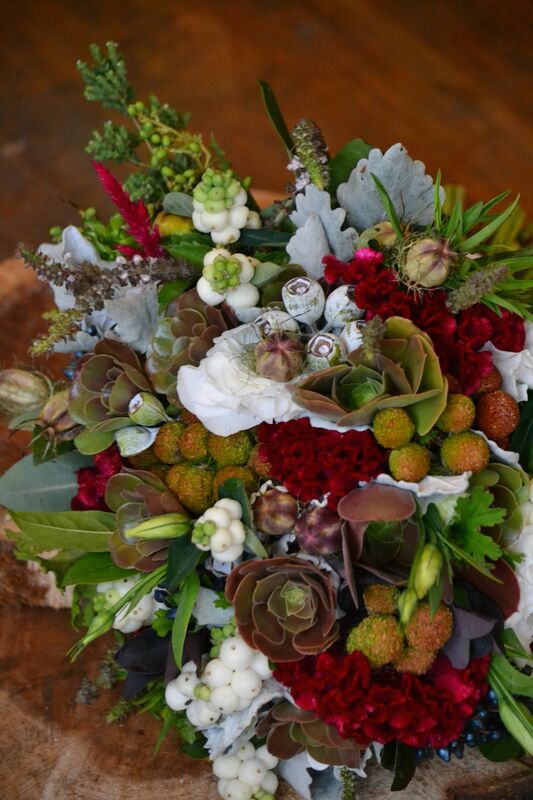 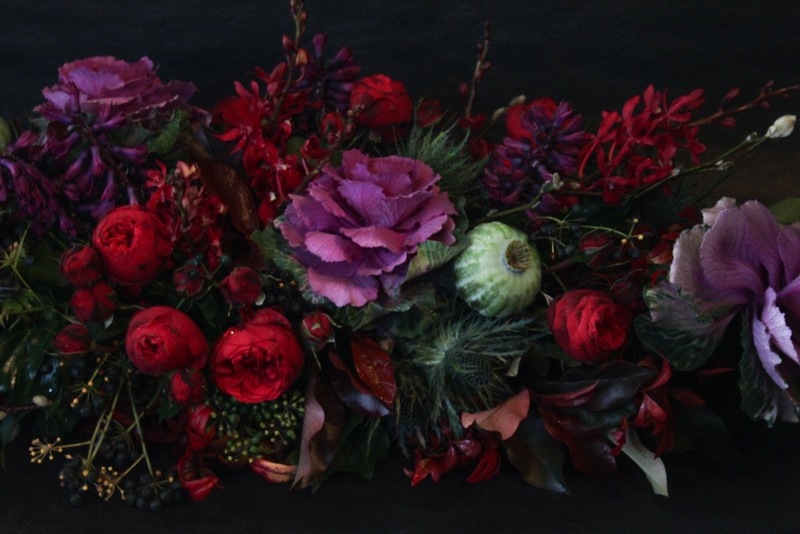 Succulents, natives, seed heads, and berries combined with lisianthus, silver suede and celosia in a rich palette of greens, reds and whites. 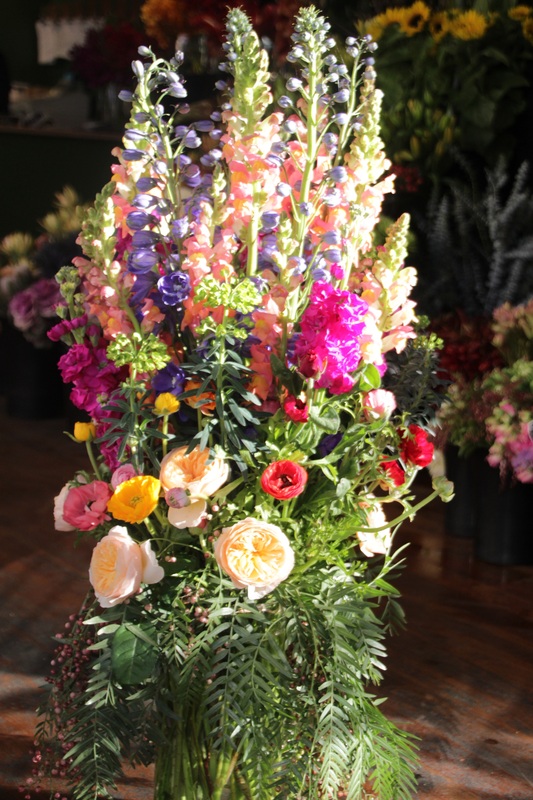 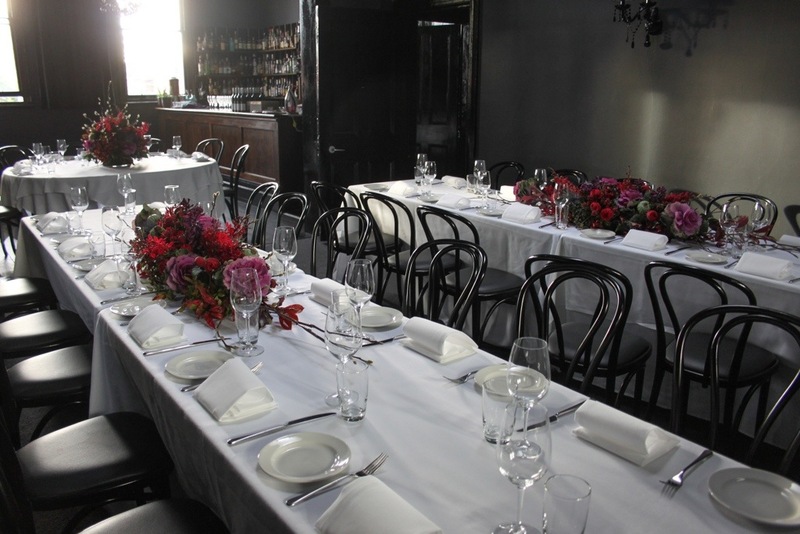 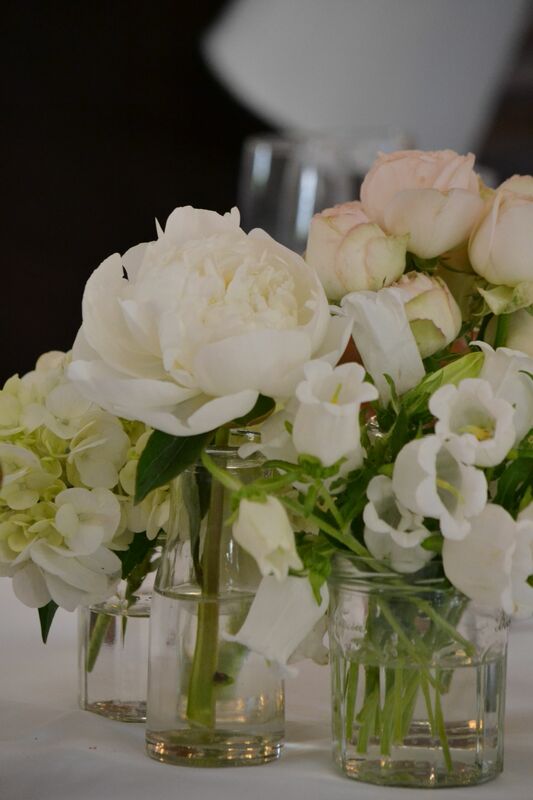 A fabulous fragrance was provided by herbs such as tarragon, thyme and scented geranium. 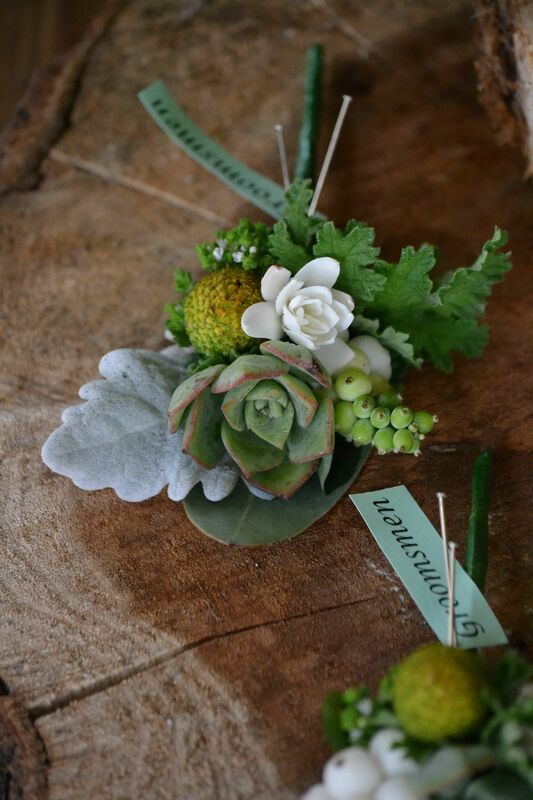 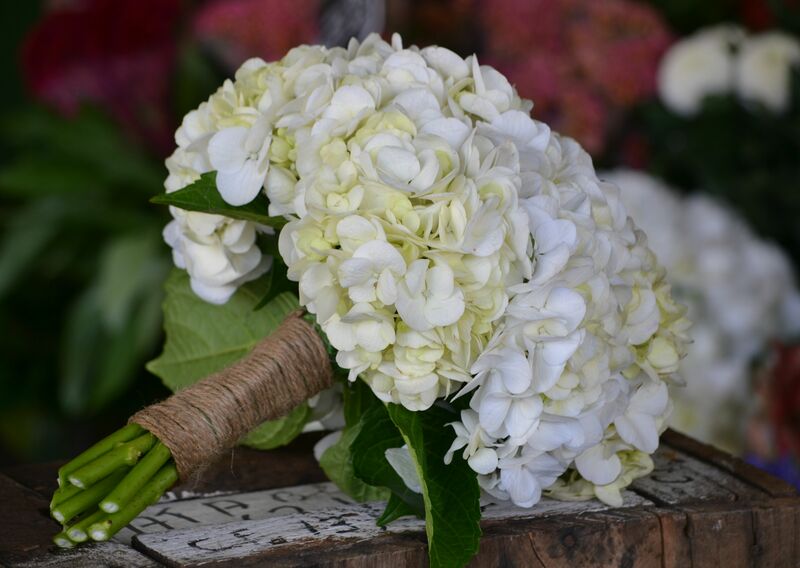 The groom and groomsmen’s buttonholes carried the theme through in miniature.